Inspired by the resilient streets of Brooklyn, New York, BED|STÜ opened for business in a small Los Angeles warehouse in 1995. The company believes in taking time to create products that are as individual as those who wear them. They buck the trend of mass production to ensure their products are made the right way, honoring the cobbler and the craft. 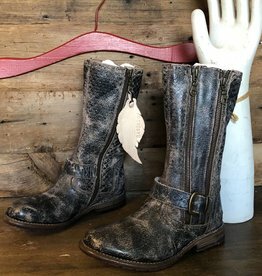 Honoring the craft of leather-making, each shoe, boot and handbag uses the highest quality organically tanned, chrome-free leather. The leather is hand-cut, sewn, washed and tumbled for softness, then individually finished. Learn more about BED|STÜ on their website here. 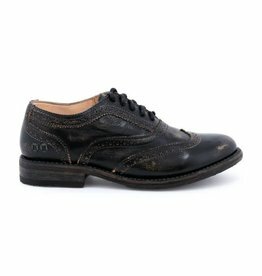 Hints of black & brown, Bed Stu's lita is a refined women’s shoe with hints of menswear inspired details including a traditional wingtip, brogue details but all the style and grace you deserve.